Aussie hip-hop powerhouse Urthboy is already ruling 2016, despite the fact that we’re just three months’ deep into the year. 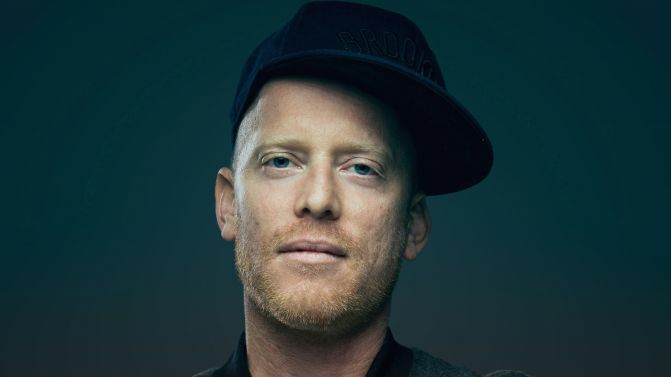 After dropping his 5th solo LP, The Past Beats Inside Me Like A Second Heartbeat (which scored triple j feature album status, mind you), selling out the disc’s preview shows and being named on the lineup for triple j’s One Night Stand – the MC is now getting ready to embark on a massive Aussie album launch tour. The rhyme-spitter will be taking an all-star crew on the road with him this May and June, with 11 regional and metro dates booked in across the country. Urthboy will be joined by L-FRESH The LION and rising star Okenyo, who wowed listeners with her playful and charismatic vocals on Urthboy’s single, Second Heartbeat, which follows last year’s Hottest 100-charting Long Loud Hours. Check out his full run of Second Heartbeat Australian tour dates below. UPDATE 26/0416: Urthboy has added another Sydney show to his Second Heartbeat national tour. See dates and details below.